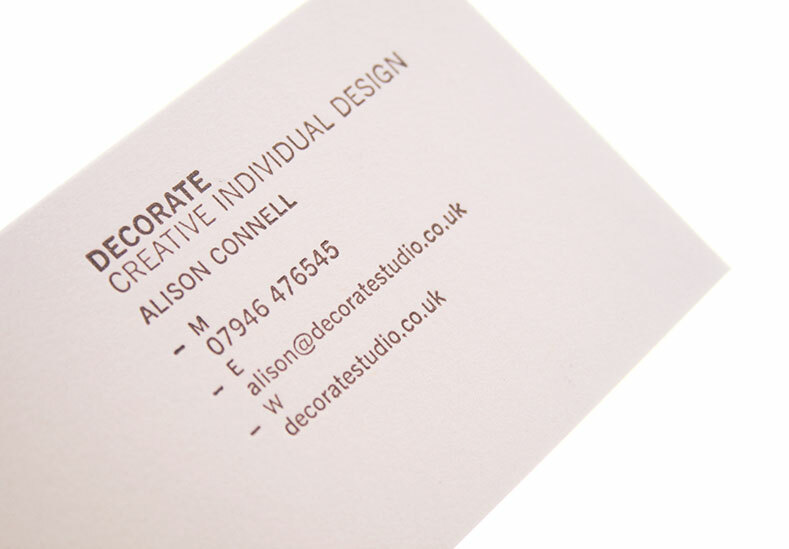 A new creative interior design and specialist furniture painting company whose high quality work focuses on colour, pattern and an eco approach. 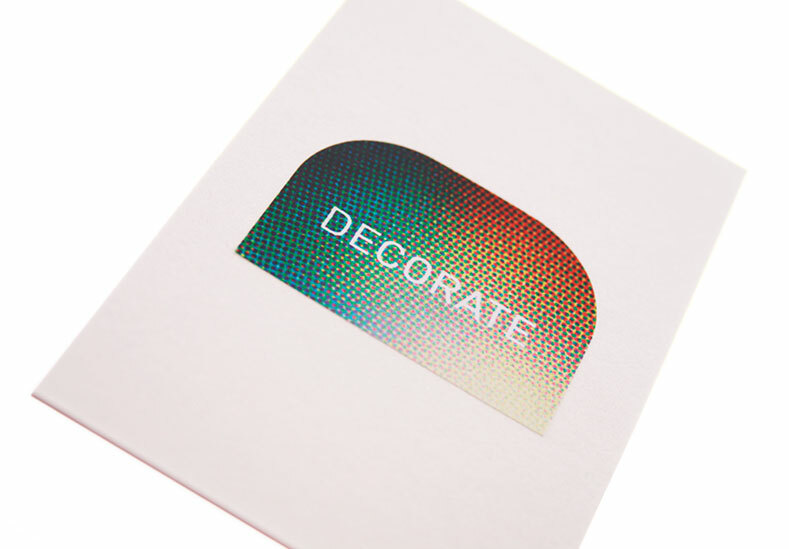 Decorate required a brand identity which reflected their love of the beauty of colour and pattern, could be changed frequently and was inexpensive to apply. 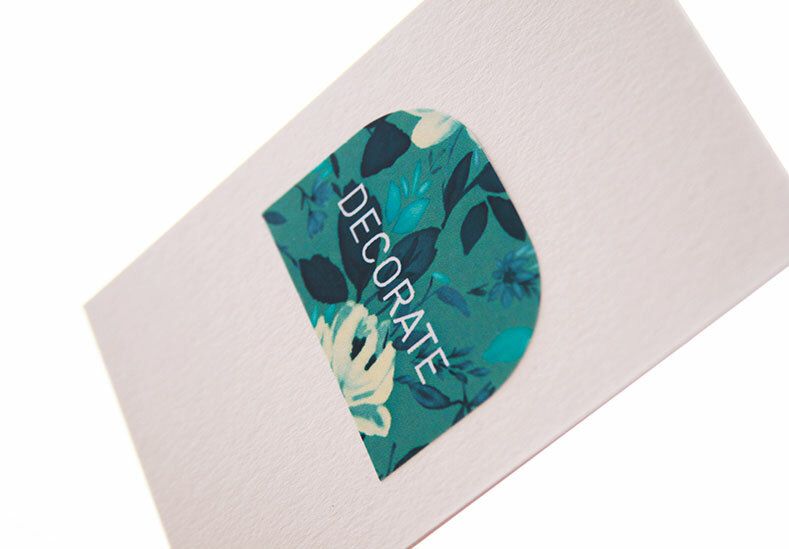 A range of white die-cut labels were produced in the shape of the initial letter D. There was also a template created to allow printing of the labels with reversed out typography. 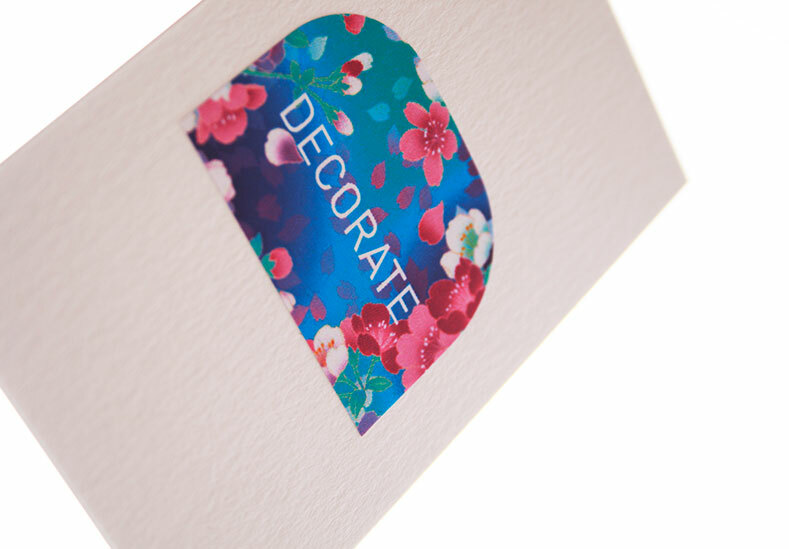 The background could be printed on the inhouse laser printer utilising the latest range of colours/patterns being featured by the company. 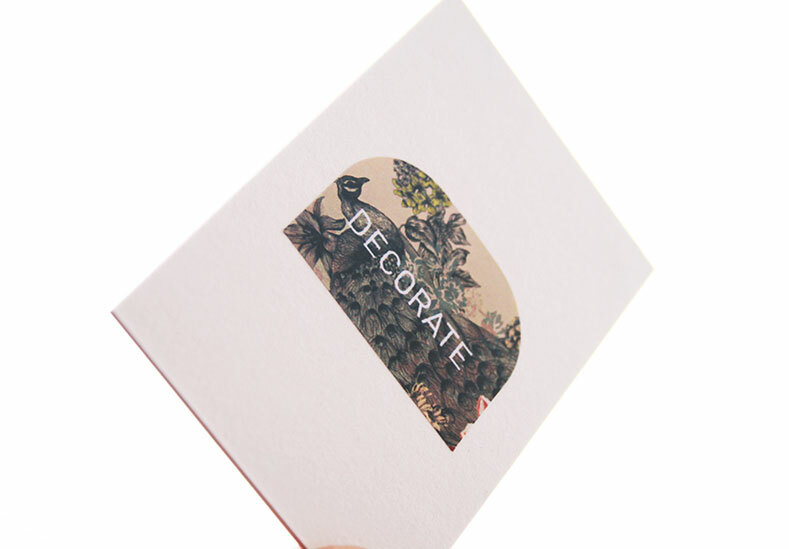 These could be altered as frequently as required without incurring extra cost and applied to any number of stationery and communication materials.